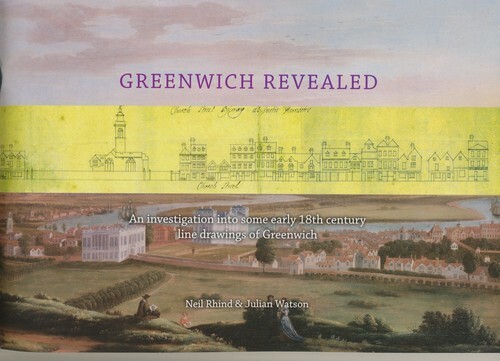 Are you sure you want to remove Greenwich Revealed from your list? An interpretation and analysis of unique and very detailed streetscapes of Greenwich drawn c.1705 by an unknown draughtsman. The drawings record the fenestration, doors, chimneys, walls and railings of individual houses. The streetscapes may have been commissioned by Nicholas Hawksmoor, the great English architect while he was Clerk of the Works at Greenwich. The streetscapes are reproduced with supporting images including maps, reconstructions, modern photograph and detailed text. December 20, 2013 Edited by Julian Watson Edited without comment. December 20, 2013 Created by Julian Watson Added new book.